Are you looking for a guide on how to choose the right colored contacts? Then you are on the right page. Color contacts are actually different from conventional lenses and if you don’t mind the budget, there are a lot of options available that can help you achieve almost any look you want. Colored contact lenses are typically more expensive than regular contact lenses because they help you change your eye color. Imagine being able to choose any eye color any day or one that can match your outfit perfectly, wouldn’t that be great? If that’s what you’ve been hoping for, then the information on this page will help you select the right one. You will learn what to look for when selecting color contacts, what to avoid, and how to get the best deal. With those born with dark eyes, it’s absolutely impossible to mimic the appearance of green or blue eyes. These pale eyes are rare and generic, making them the most desirable eye colors and it’s no surprise how so many people quickly embraced the possibility of getting the appearance with the introduction of colored contacts. And the use of these contact lenses by athletes and actors makes them even more attractive to the populace. Opaque Tint – This is a non-transparent tint that can change your eye color completely. If you have dark eyes, you’ll need this type of color contact lens to change your eye color. Color contacts with opaque tints come in a wide variety of colors including hazel, green, blue, violet, amethyst, brown and gray. Medium Tint – They are also known as enhances and are designed to alter your eye colors but not obscure the natural look of your eyes i.e. the color. If you have dark eyes, you should be aware that these type of colored contacts will not have any effect on your eyes whatsoever. If you have pale eyes and you want your eye color to be discernible, you should get one of this. Visibility Tint – Also known as VISITINT, these type of contacts generally have light blue tint added to them and they are transparent enough to the color of your eye to show through. Visibility tinted lenses will not mask the color in your eyes compared to opaque or medium tint lenses. The main reason for this type is more usability than fashion – you can easily identify in the lens case. Or when one falls out of your eyes. In our opinion, they are the best unless you want to really change your look for fashion purposes. Choosing the Right Color – Are Colored Contacts Safe? Yes, colored contact lenses are safe – as long as your contacts are properly prescribed, used and cared for. It is essential that you visit your eye care professional for a proper contact lens fitting. This will ensure your colored contacts are safe and comfortable and look natural in your eye. Colored contact lenses are almost as safe as regular or conventional contact lenses. They have the same oxygen permeability as the conventional lenses, just that it is a little bit lesser. You need to take care of your colored contact lenses just the way you’ll need to care for your conventional lenses but you cannot sleep with your contact lenses as you would with your monthlies. Also, you should avoid using your colored contacts for a very long time, which some people are guilty of. Just because they are colored doesn’t make them safer than your monthly contact lenses. It is the same prescription contact lenses and the material are the same. Colored or cosmetic contact lenses get kind of a bad reputation and that’s just from people not knowing how to look after them properly. Often times, people who are buying this kind of lenses are not people who usually wear contact lenses so might not be aware of how to take care of them. And it’s something that’s going in your eye so you want to be doing it properly. Here are a few tips for caring for colored contact lenses and wearing them safely. To keep them for long, you have to always wash them with properly; avoid sailing liquid. The sailing liquid is similar to your natural tears which keeps your lens free from proteins and bacteria. Tap water can contain unseen bacteria that can cause eye infections and it also hurts and irritates your eyes. Some lenses last a year, some last three months and others two weeks or one day. The most important thing is to ensure you never wear your contacts pass their expiry date. For example, if you wear monthly lenses for three or four months, you risk serious damage to your eye. Lenses can harden or even split and break after their expiry date and can cut your eyes. Many people have experienced this where it cuts, bruised, or scratch their eyes, so throw them out since it’s not worth the risk. It’s a good idea to visit an optometrist to make sure that your prescription is up to date. If your vision isn’t perfect, it’s important to get the right prescription for your eye lenses. Your optometrist can measure the base curve of your eyeball – that’s the curvature. To wear lenses of a slightly wrong base curve might just create a little bit of discomfort and having it too far off can make the lens wrinkle on your eye or slide out of place or even harm your eye. So a good idea is to measure your basic curve, which only takes a couple of minutes. For example, someone with a basic curve of 8.5 can wear lenses with a base curve of 8.6 comfortably. But this same person will find contact lenses with a base curve of 8.8 won’t sit properly on the eye and may slide out of place. Ensure you store your lenses in their case. They look like those cases that come free with your package when you buy lenses. Otherwise, they are really cheap to buy. Always store the left and right lens on the same side every time and replace the fluid every time you use your lenses. Never rub your eyes while you have lenses in. While lenses will naturally place themselves in the center of your eye, it’s possible to stick under your eyes. This is when you rub your eyes and push them out of the way. If that sounds scary, there is a myth that contact lenses can go right to the very back of your eye but that’s not true. There is a membrane in the way that stops it from happening, still, it can be pretty stressful and unsettling when one vanishes under your eyelid so never rub your eyes while wearing them. This is particularly true for oversize lenses like circle lenses or scleras. Your eyes need to breathe so you shouldn’t leave them in for too long. It depends on the lenses and your eyes. 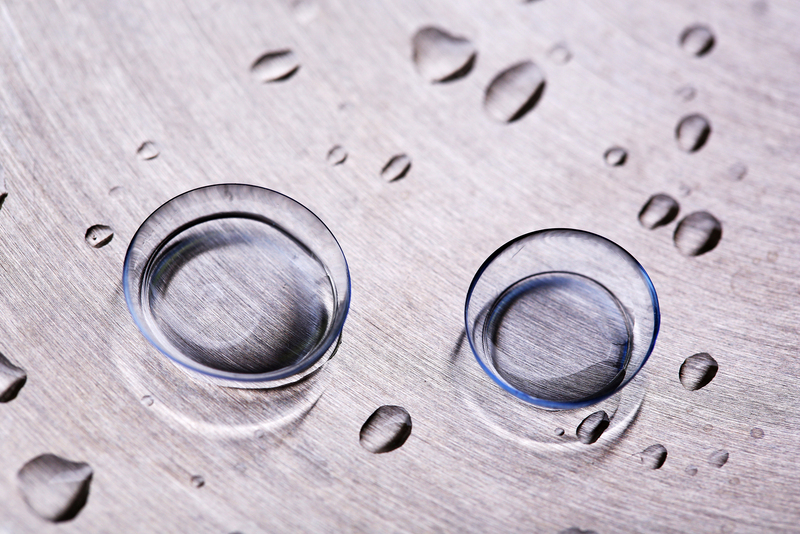 To give you a rough idea, some lenses have a normal diameter of about 14mm so you can wear them for about 8 to 12 hours. 16-millimeter diameters maybe 5 to 8 hours. Those lighter than that, say 22 millimeters like scleral lenses, you can wear for 3 to 5 hours. Most websites will have an FAQ page which will give you an idea of how long you can wear their lenses. Wash your hands with a mild soap and warm water and dry them on a fluff-free towel before inserting your lenses. Also, make sure your hands are clean and dry before taking them out again. If you feel you can sleep with your lenses on, then think again! When you sleep with your lens, it won’t even feel good for even 20 minutes with your eyes closed. When you close your eyes, the lenses dry out and stick to your eyeballs, which can cause serious eye irritation. Take them out before going to bed or if you feel yourself wanting to do this, then keep a bottle of lubricating eye drops with you especially when you first start wearing lenses. Make sure the ones you get are okay for use with contact lenses, they’ll usually say so on the packaging whether or not they can be used with contact lenses. You should avoid buying lenses from those stores that are selling for $2 or something like that. It’s not a bargain and they are probably not safe for your eyes. All the lenses we recommend on Eyewear Avenue come from reputable retailers like Coastal.com. You can find a link to them in this article and some of our other articles so you can browse around for yourself. If you don’t see an eye doctor and get a prescription, then contact lenses you get may not fit properly and may not work well. They could even damage your eyes. Sometimes wearing contact lenses can damage the top layer of your eyeball (cornea). It’s well documented that you may be prone to eye risk when you don’t go to your ophthalmologist or your optician before you get your contacts to make sure they fit properly. Improperly fitting contacts could lead to scratching of your cornea which the tissue above the colored iris portion of your eye. People can also get an ulcer on the cornea known as corneal infection and there’s a risk that it can cause pink eye and various diseases that can decrease vision and possibly lead to blindness. If you are deciding to get colored contacts, it is important to go to your doctor and make sure the color contact actually fits your eyes so you don’t scratch your cornea and possibly end up blind. Do You Really Need A Prescription for Colored Contacts? Yes, you really need a prescription before ordering for your color contacts. Unless you don’t care about your eye and vision, you should see your ophthalmologist before choosing your contacts. And avoid at all cost, non-prescription contact lenses. They might be cheap and even backed by enticing offers but they are no good for you in the long run. Since you are buying your color contacts online, you should know the going rate for these lenses. Typically, you should expect to pay for about $80 for a 6-pack of colored contact lenses, compared to about $50 that you’d pay for your monthly contact lenses. One thing about color contacts is that if you think too much about their price, you wouldn’t be able to get one. But when you consider that they are the easy and affordable (yes, they aren’t that expensive considering it’s a safe way to update your look with the blink of an eye). Whether you want to get a completely new look for your light or dark eyes or searching for those contacts that can subtly enhance your natural eye color, you’ll find them with one of our recommended retailers. With Coastal.com, you can get opaque contacts that will completely change your look as well as enhancers that intensify your lighter eyes. Click here to search the inventory here.